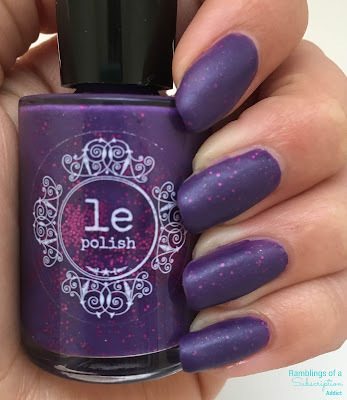 Polish Review - le Polish Birthday Club Polish - Cancer + Giveaway! Disclosure: Press Sample, all opinions are my own. Warning: This is a photo-heavy post. 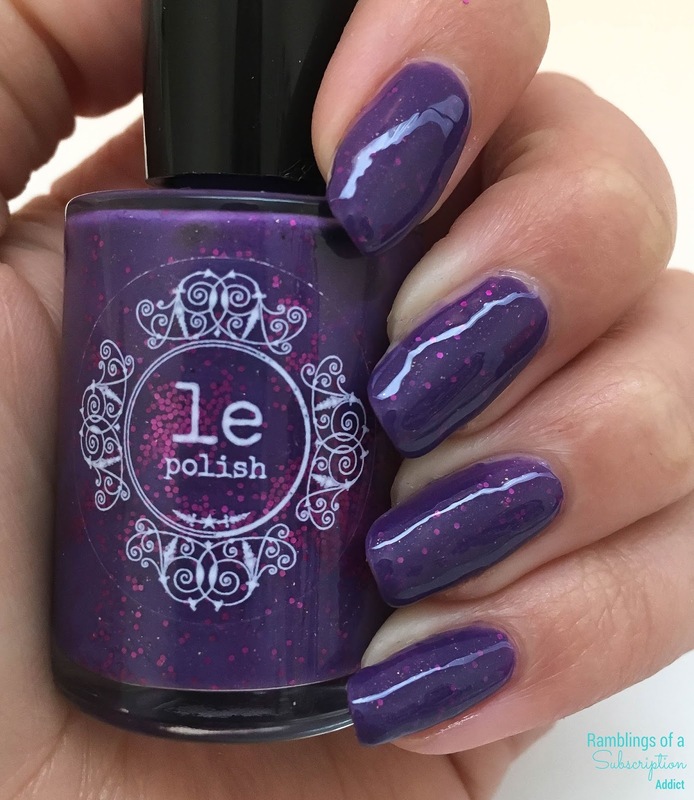 It's that time again, it's time for le Polish to release the next limited edition monthly polish! If you missed the polish for Gemini, you have until the 20th to grab it! 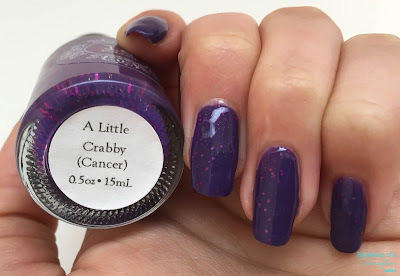 The Cancer polish, A Little Crabby, is inspired by this image, which was voted on in the Facebook Group. Make sure to join to take part in the next voting! Important info: This polish will be available on June 21st at noon EST on le Polish's website, and will be available through July 22nd. 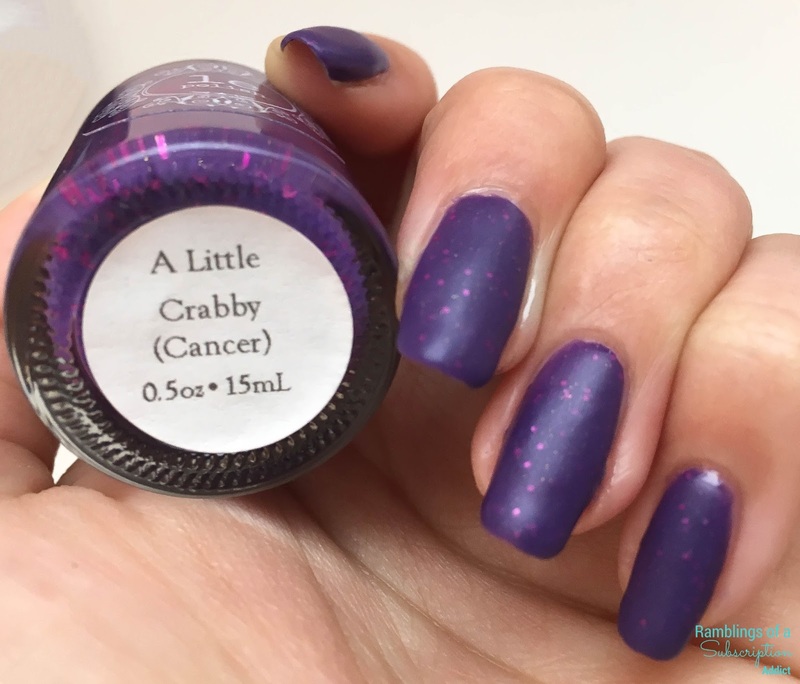 A Little Crabby is $10, or it will be free with a $10 purchase if you are in the Facebook Group and are a Cancer (make sure you are on the birthday list)! Like last time, I'm giving away a bottle to one lucky reader! Check out the widget below for more details! A Little Crabby is a purple crelly with magenta glitters and a gold shimmer. Purple means I'll instantly love it and gold shimmer means I will need it in my life forever. 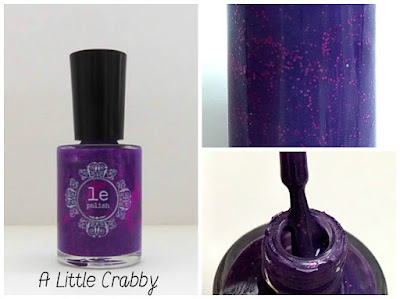 First up, I have A Little Crabby with a glossy top coat. It dries to a shine, but I always like to add a little bit more shine! In my swatches, I used two thick coats. 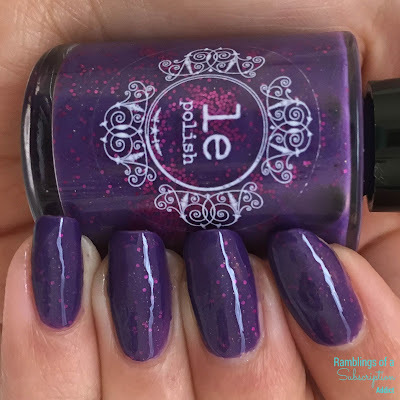 This polish self-levels nicely and dries to a smooth finish. 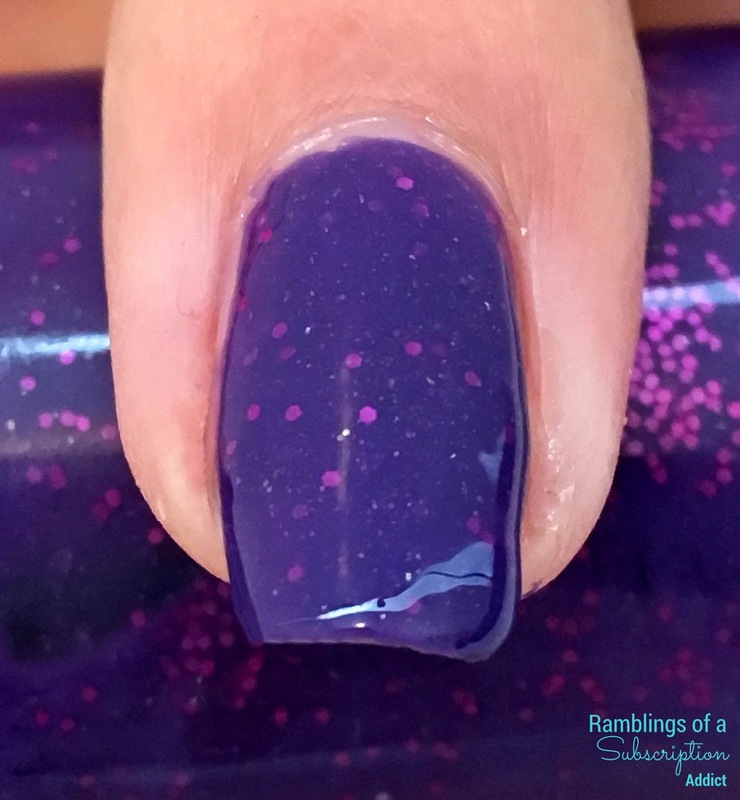 I am so in love with those magenta glitters, they are the right amount of pop and work perfectly with the purple base. The gold shimmer is so gorgeous, but I really will love just about any polish with gold shimmer so I might be a little biased. Macros! I know, I finally show a picture of a macro (where you can better see the gold shimmer). I'm working on it, so let me know if you have any tips or tricks on how to do them better. Not only did I do glossy, but I did matte as well. I recently purchased a new matte topcoat, which means I can now do matte swatches! 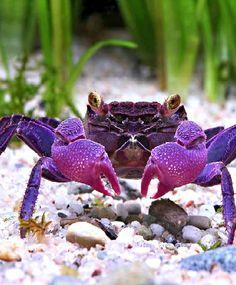 I really love how A Little Crabby looks when matte. Finally, a matte macro! Again, you can see the gold in the macro shot, and look at all of the glitters in the bottle behind it! Like I said before, this polish will be available on June 21st and will be available until July 23rd, and then it's gone! If you want this beauty, make sure you grab it and make sure you are in the Facebook Group! Click here for the giveaway if you can't see it on mobile! This giveaway is sponsored by le Polish and run by Ramblings of a Subscription Addict. This giveaway will run from June 18th at 12:00 PM EST and will run until June 30th at 11:59 PM EST. The winner will be selected within 72 hours from giveaway ending. Winner will have 48 hours to claim prize or it will be forfeited and a new winner will be selected. Prize will be sent within one week of winner claiming prize. This giveaway is only open to US residents. Winner must be 18 or over.